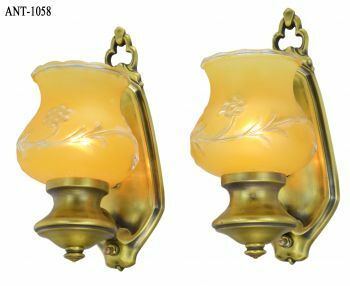 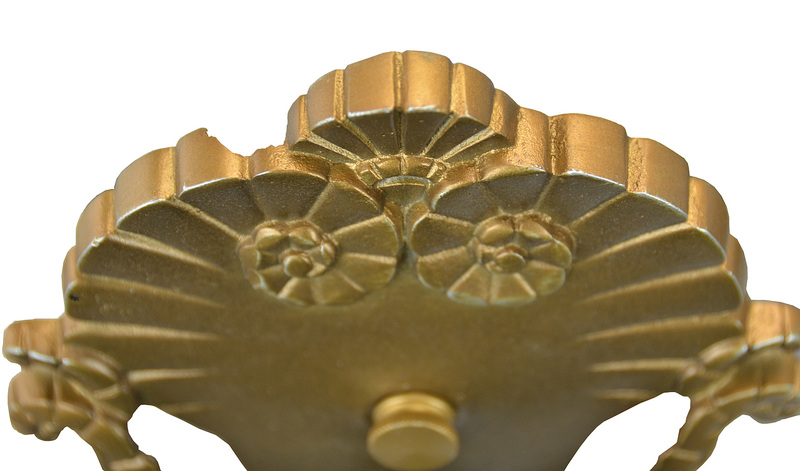 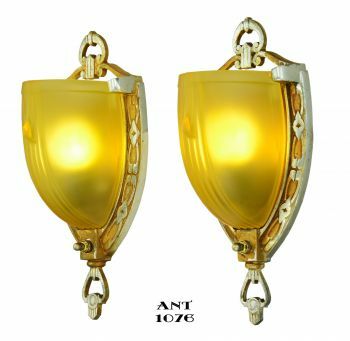 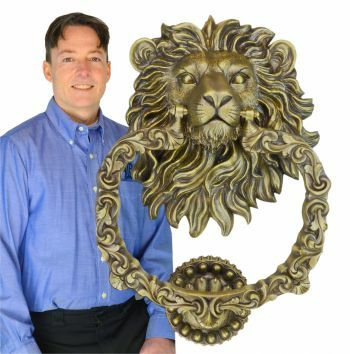 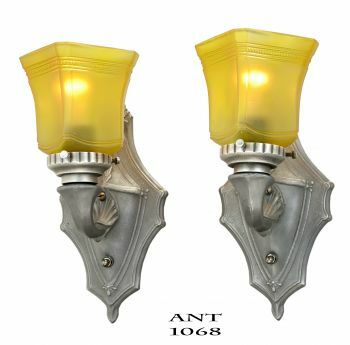 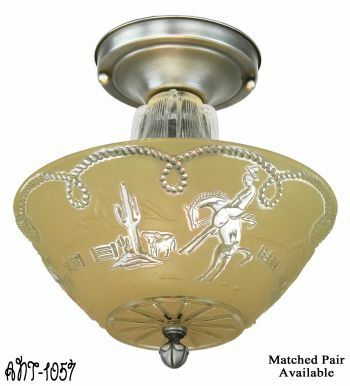 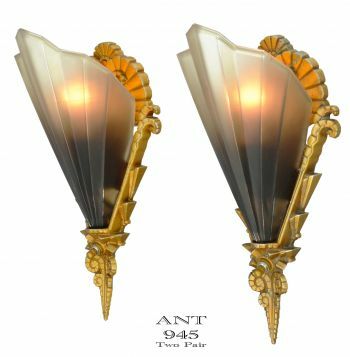 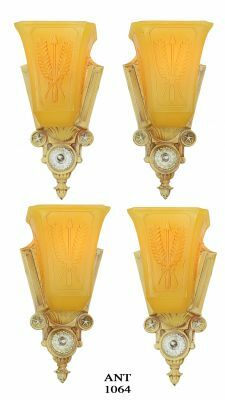 These sconces are “Soleure” by Mid-West in an old-gold finish...not polychrome. 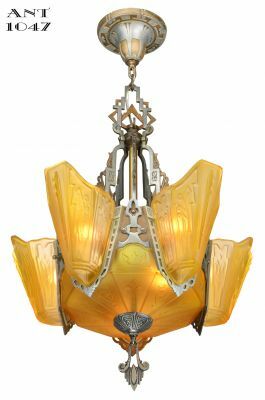 Mid West only made the best quality lighting and did have different finishes. 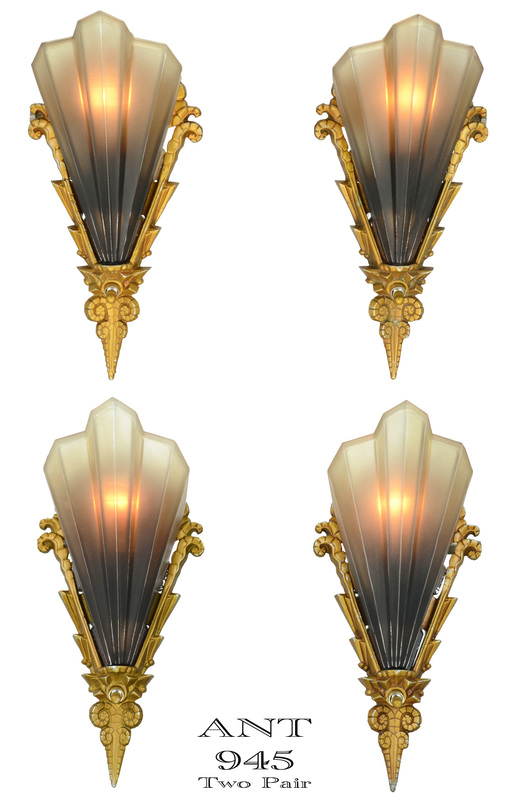 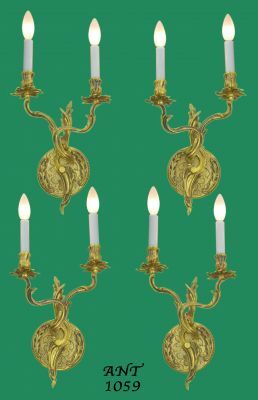 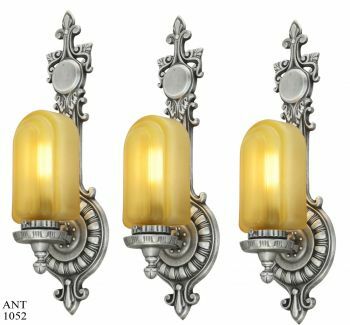 We took these four sconces from a home along with a polychrome chandelier. 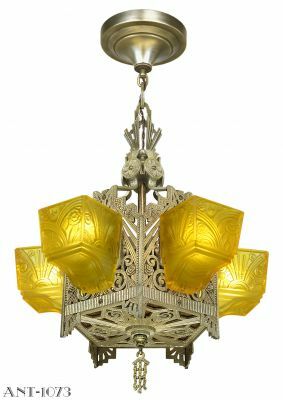 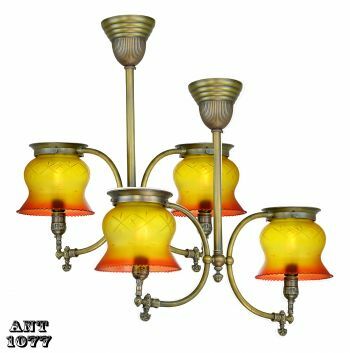 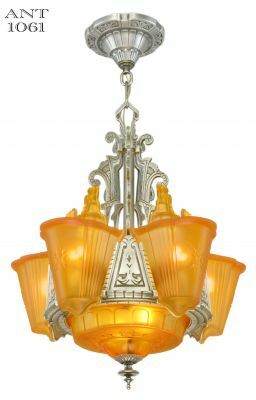 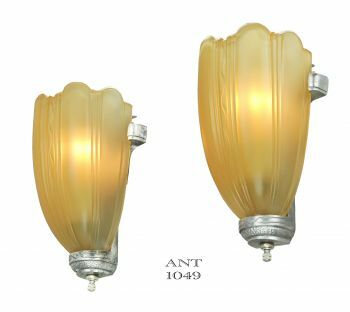 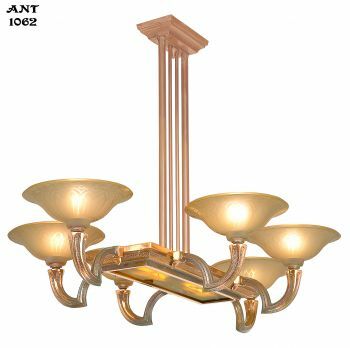 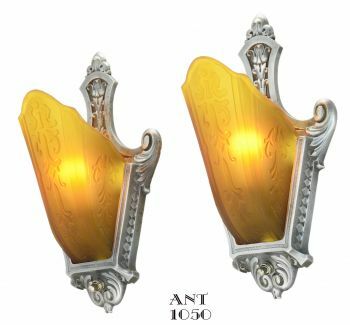 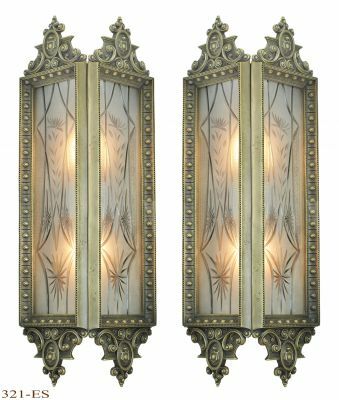 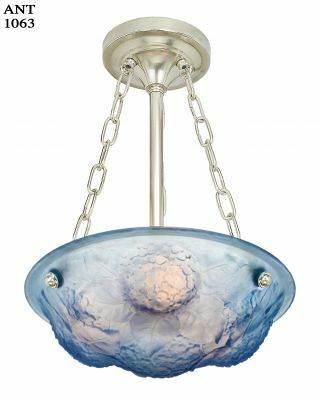 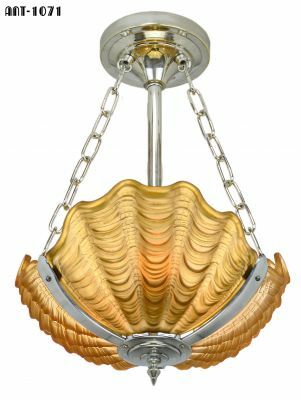 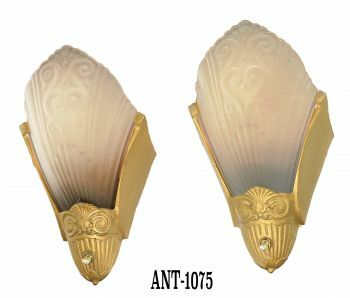 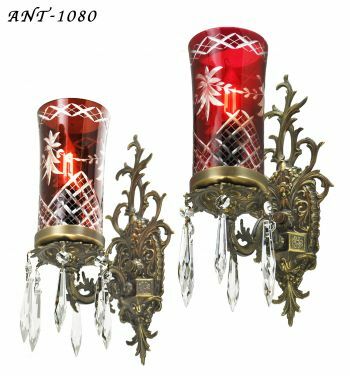 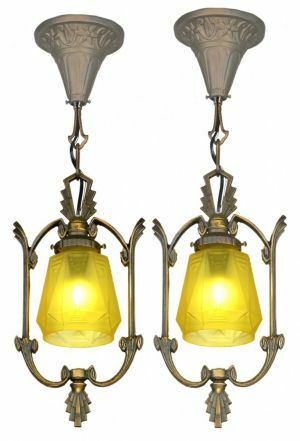 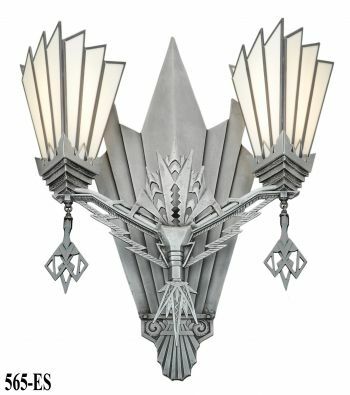 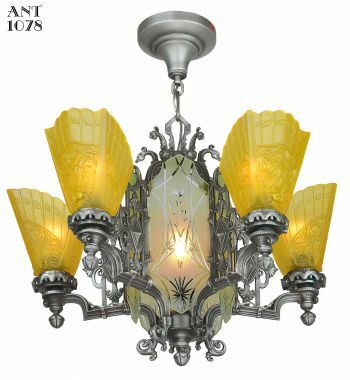 The sconces do NOT match the chandelier as these sconces have an OLD GOLD finish while the chandelier has the Art Deco lighter colors plus elements of polychrome color touches. 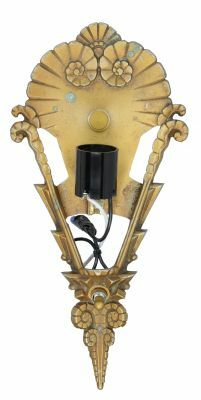 These sconces have been totally re-wired, in our UL shop, with new sockets and a nice new rotary switch for each one. 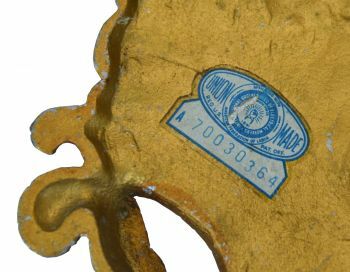 However...the switch does stick out the back of the plate, a little, so the wall will need to accommodate this minor bump-out. Antique backplate...newer UL rotary switch ..looks identical on the front...but the body of the switch is just a mite thicker. There are some original “Union” labels on the back which adds a nice antique touch. 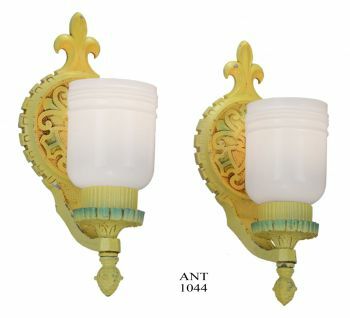 The flawed frame is not visible when the shade is attached. As shown in picture 4, the chip is small and not visible from below. 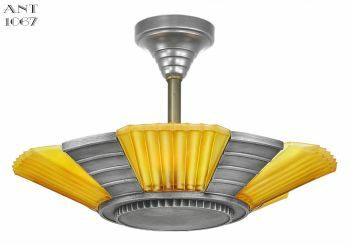 Measurements: 11 inches tall and it has a width of 5 1/2 inches..... with a 5” projection into the room. 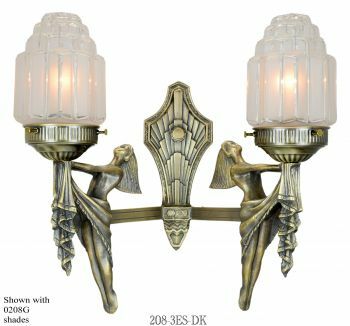 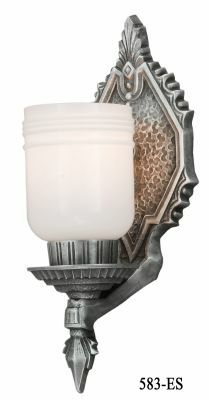 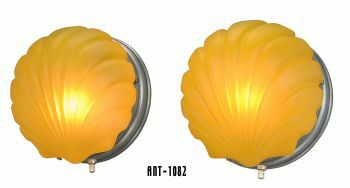 We will supply a mounting kit for each sconce. 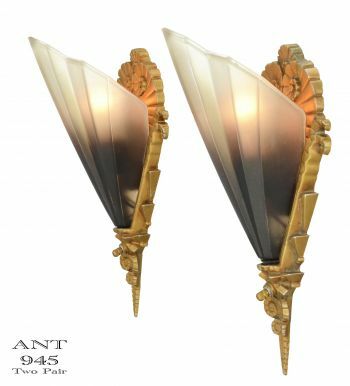 Pair with one chipped and one flawed frame as shown: $ 875.00 per pair. Both pairs are $ 1,825 plus careful packaging and shipping.